This is scrumptious: whizbang color thingy from colr.org. Choose an image you like from the web, copy the address into the "image url" box then go down and click "random from image" and you will get a color palette. When you get one you like, tag it with any combination of words or phrases. You can see my palettes by entering "taz" into the "Tags:" box and clicking "go". "687 active fonts on this system"
I became fascinated with stripes recently, and made like, um... 30 different patterns? I picked out the ones I liked best to start off a possible "stripes series". I made these mostly in shades of brown and beige, but they colorize very, very easily (the text on the post page points out one that I quickly colored up with #669999 green). So, I was playing around with various techniques for creating the stripe patterns, and one of the things that I did that was kind of fun was to use an image output from a barcode generator as a starting point, just using the fill tool to color in the individual bars with hues from a given palette. The very best generator for doing this comes from Barcodes, Inc.. You can control the size and the resolution, and get your image in PNG or JPG. Perfect! Also, go have a look at my latest page of Bloggrounds: 16 nice, small patterns in a color array I think of as "muted acid tones"; there's probably a real word describing this sort of palette, but I have no idea what it is. And finally, here's one from the bookmarks (I haven't posted this already, have I? ): "Wordworks" is an exhibition that includes "paintings, drawings, sculpture, and prints by 27 artists for whom words or text is a significant element in their work". An interesting idea with lots of possibilities. 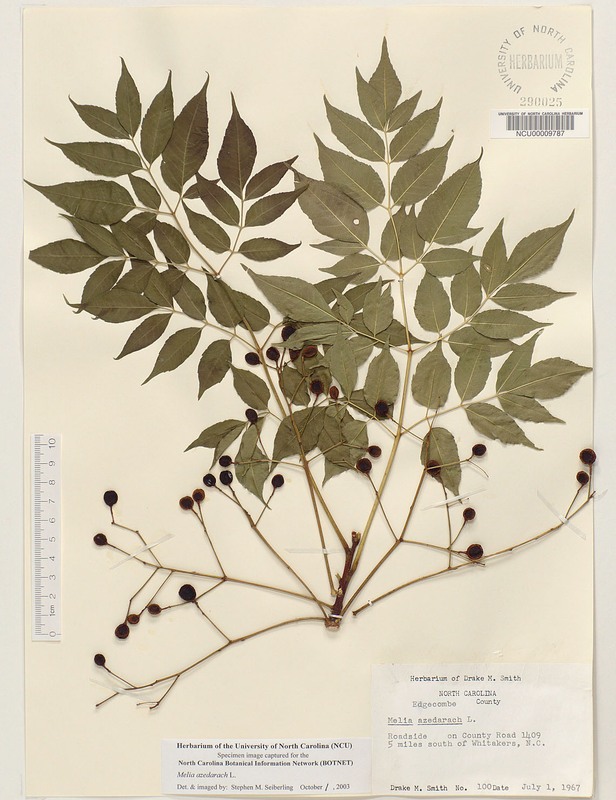 Call me wacky, but I love paper mounted botanical specimens, and I really love being able to browse a database of same, as you can at the University of North Carolina's Botnet PlantSearch. If you don't have anything in particular to put into the search field, but still want to look around, begin wth "ListMajorGroups" and keep clicking the ol' buttons until you get to "ListTaxa", at which point you'll get a list with "group", "family", "genus", and "species" info, and the magic "view specimens" link. Play around a bit and you'll get the hang of it... or check out the more herbarium images link from the main page of the Virtual Herbarium. I made a very nice (and very tame!) tile based on this specimen of Chinaberry, and mocked it up into a pretty nice example web page layout. I really like this. I have not been scouring the web recently so I haven't had much to share (damn these 24-hour days!). But let me just mention the few things that I have encountered that I especially like: From Chasing Daisy's sidebar, two lovely finds: Re-Invigorate's free data archiving service for tracking your web stats, and Pixie, a free "easy-to-use, fast and tiny" color-picker. I didn't think I needed one of these things, but I downloaded this 62Kb utility, and I totally love it. Finally I would be remiss not to mention that I just can't stop laughing at Eugene, the marvelous crooning child, stumbled upon by the grace of a compassionate god, and Anne's delightful LinkSquare Project.